그가 성공할 희망은 거의 없다. I hear she is a good cook. 그녀는 요리를 잘 한다고 합니다. She has an aptitude for music. I saw the color drain from her face. 그녀의 얼굴에서 핏기가 가시는 것을 보았다. She has a good color on her face. He and I seem to live in very different worlds. 그는 나와 다른 세계에 사는 사람 같다. He had always loved sports, even though he wasn't a natural athlete. 그는 비록 운동에 재능은 없었지만 운동을 무척 좋아했다. He has known both the bitter and the sweet. 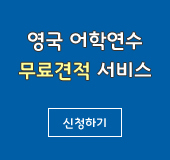 그는 산전 수전 다 겪은 사람이다. He is as cool as a cucumber. He went to Canada the year before last and has not written to me since that time. 그는 재작년에 캐나다에 갔는데 그 후로 소식이 없다. He seems an honest man. He plays the piano very well, too. 그는 피아노도 매우 잘 연주한다. He always points out my mistakes. 그는 항상 나를 실수를 지적한다. I have known him from a child. 그를 어릴때 부터 알고 있다. I could not think of asking his pardon. 그에게 용서를 빌다니 내게는 생각도 못할 일이다.